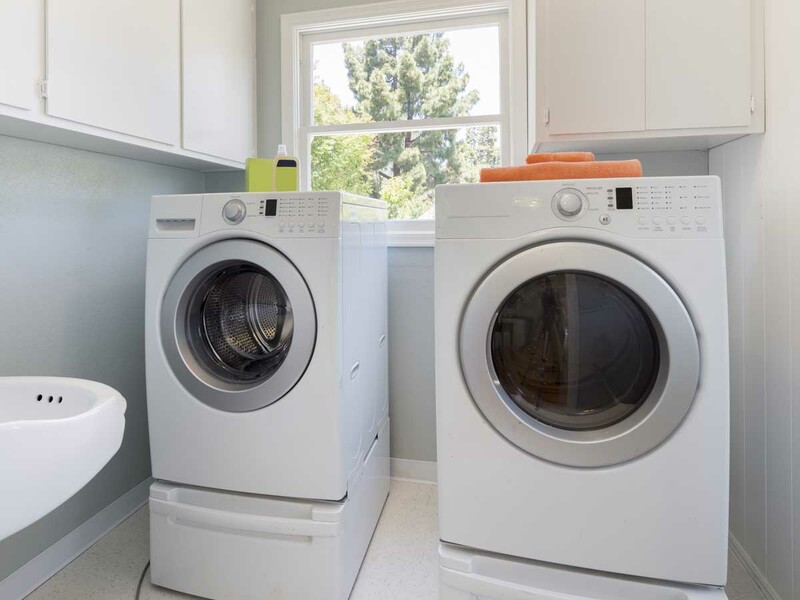 For many people, a washer and dryer are the most used appliances in the house. As a result, these units can wear out over time. In addition, there have been a number of advances in efficiency and convenience with washers and dryers. Many people will take the advantage of upgrading their washer and dryer. Newer units are more energy efficient, use less water, and more convenient in loading and unloading clothes. Here is a list to shop for with an appliance upgrade. Remove the dryer by disconnecting the power and the duct that attaches to a vent opening in the wall. The first thing to do when removing the washing machine is to shut off the hot and cold water supply valves. There should also be a flexible hose that drains water into a drain pipe that should be removed. Installing a new dryer requires attaching a flexible duct from the back of the unit to the vent opening in the wall. You should also insert the washing machine drain hose into the drain pipe and connect the hot and cold supply hoses to the unit. Plug both units in and open the valves for the hot and cold water. Here is a great video from Best Buy on picking out new washer and dryers.